 Eaton's CBC Clutch/Brake is designed primarily for high cyclic punch press operations, the unit had been applied on a wide variety of high speed and high cyclic applications. Eaton Airflex CBC unit combines an air actuated disc clutch and spring-applied disc brake into a compact package, which can be readily adapted to new or existing flywheel drives. A compact design, along with high thermal capacity and low air consumption makes this unit ideal for high speed, high cyclic, heavy-duty industrial applications such as Automatic Punching Machines, Press Brakes, Printing Machines, Shears, Stamping and Forming Presses and Woodworking Machines.